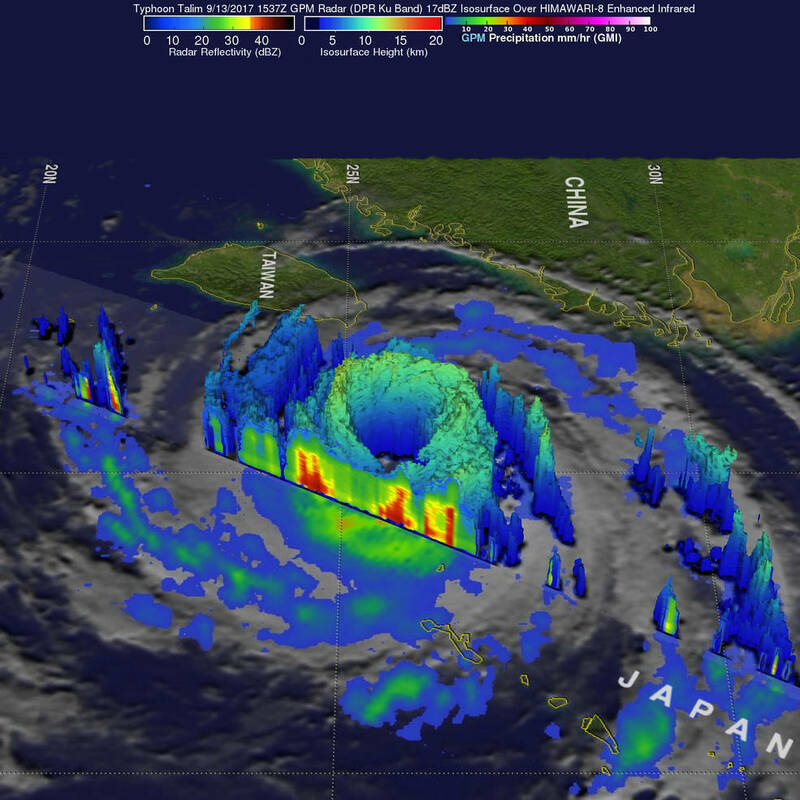 This dramatic 3-D view of Talim's eye was taken from the GPM core satellite EDT. Many of the storm tops on the western side of Talim's eyewall are shown extending to heights above 12km (7.4 miles) where rain was falling at a rate of over 232 mm (9.13 inches) per hour. Cloud tops were lower on the eastern side of the typhoon. A powerful typhoon ripped into southern Japan on Sunday (Sept 17), dumping torrential rain, grounding hundreds of domestic flights and halting train services. Typhoon Talim made a landfall in Kyushu, the southernmost of Japan's four main islands, packing winds of up to 162kmh, the Japan Meteorological Agency said.